Hello guys, today in this article we are going to discuss on Database Management System (DBMS). In this article, we will try to cover all the basic terms that are related to Database (DB) and Database Management System (DBMS). Inserting data on files (INSERT). Retrieving data from files (SELECT). Deleting data from files (DELETE). In a system software which manages and organizes data & data files in a systematic way such that it can be accessed, retrieve and modify (Update). whenever the user thinks it is necessary. DBMS manages three things. Here, we will mainly focus on RDBMS whatever we study in this course will be associated with RDBMS. Easier to access retrieve and update whenever necessary. 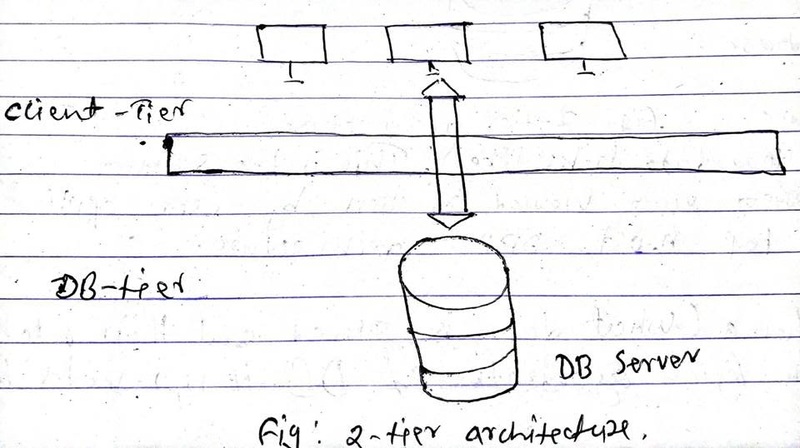 The design of DBMS depends on it's an architecture which can be centralized, Decentralized or hierarchical. 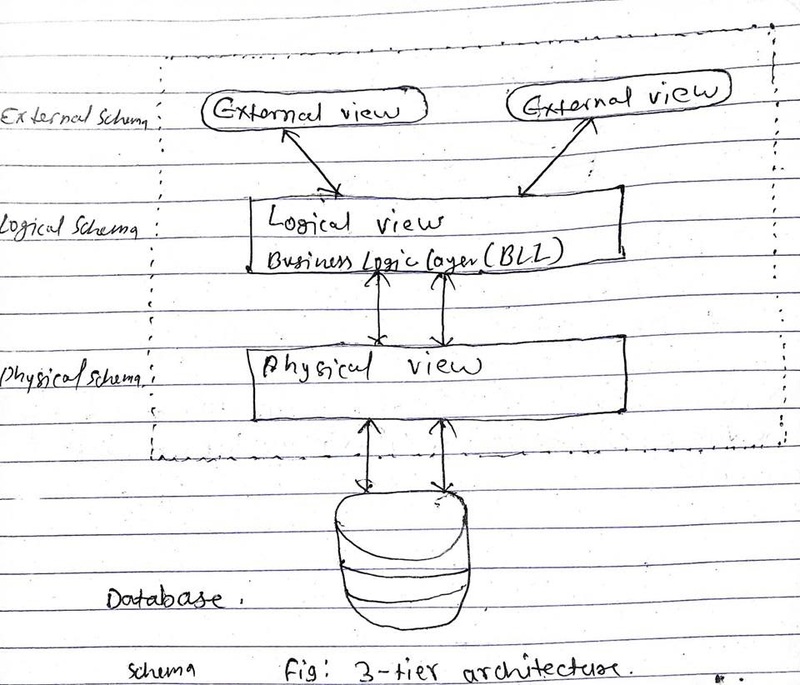 The architecture of DBMS can be seen either is single or multi-tier. 1-Tier Architecture: In 1-tier architecture all the components required to run an application/software are kept on a single server platform. 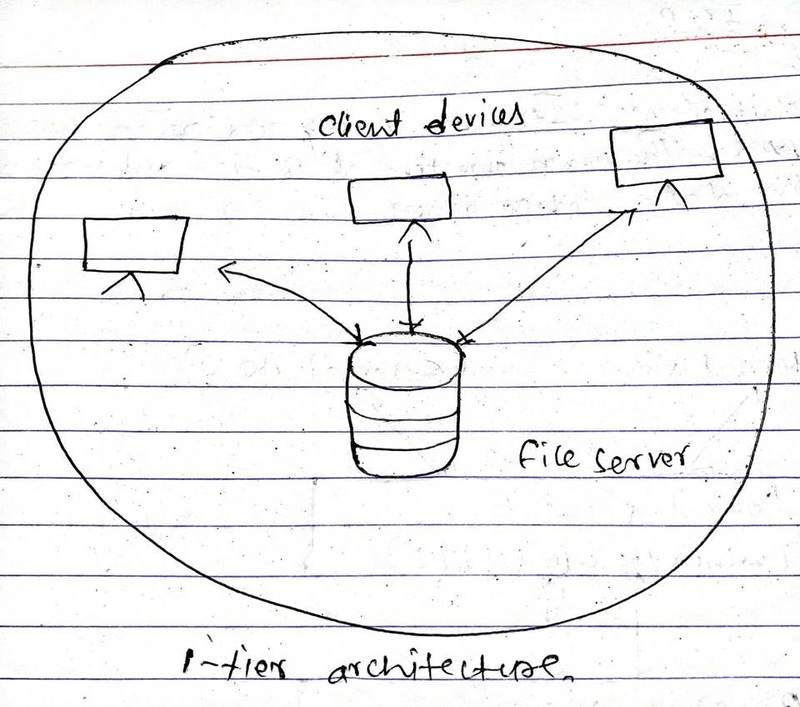 2-Tier Architecture: 2-tier architecture is a client-server architecture direct communication takes place between client and DB server. 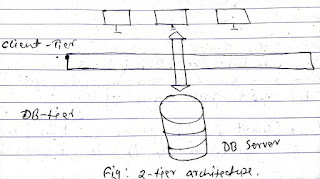 3-Tier Architecture: It is the mostly used architecture used architecture to design DBMS. 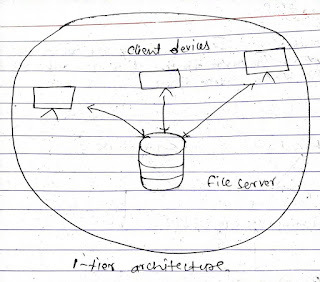 The main objective of 3-tier architecture is to obtain data independence. 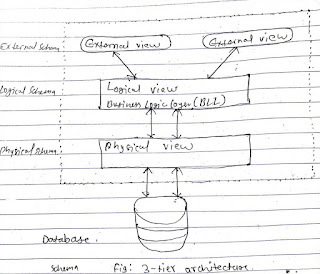 External Schema (How data looks like): This is the schema which can be viewed by users application. 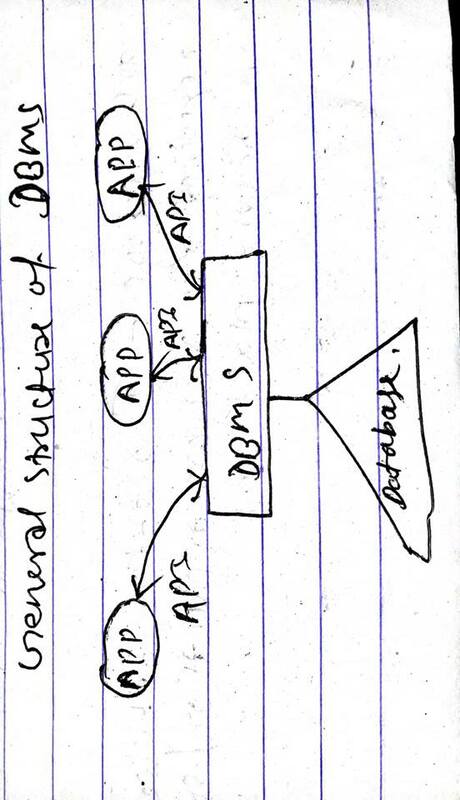 It is the topmost DBMS architecture. Logical Schema (What data is stored and their relationship): This is the logical organization of DB. 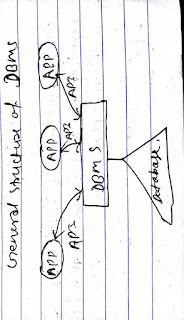 It represents a logical data structure through Which application can access the DB. It resides in the middle layer as a business logic layer (BLL). acts as a mediator between end users and DB. Data Abstraction: Data abstraction means hiding of data on the lower layer to the upper layer. It means maintaining confidentiality over data. Developers of the DB system hides internal Irrelevant and complex data structures from users, which is called data abstraction. Data Independence: It is an ability to modify a schema definition in one level/layer without affecting a schema definition in the next layer. The three-tier architecture allows the facility of data independence. It indicates that changes in the physical schema (structures/ definition of physical storage ) do not affect logical schema. It is easy to achieve physical data independence separates the conceptual level from the physical level. It indicates that changes in the logical schema can be one without changing the external schema. In other words, change in logical/conceptual schema does not affect external schema. Comperatively it is difficult to achive logical schema. Logical data independence seperates external level from logical view. 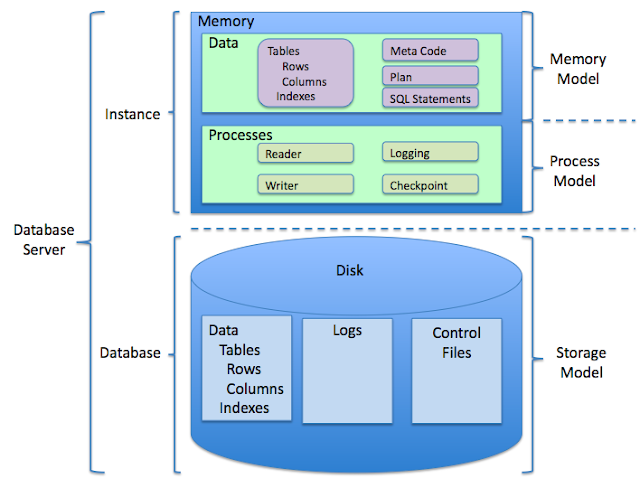 I hope you find it easier than ever to understand on Database Management System. See you guys on next article.